Amherst County blends the best of rural and suburban living with thriving businesses, agriculture, local industries, the beautiful campus and educational opportunities at Sweet Briar College, quaint small towns and shopping areas, and wonderful residential neighborhoods. An organization of business and community leaders working together to serve the interests of our members by providing programs and services which improve the economic vitality of our community. Lynchburg Regional Business Alliance promotes regional economic growth and enhances the quality of life for all citizens of the Lynchburg region. For 129 years, Roanoke Regional Chamber has been a leader in business advocacy in western VA. We tackle the tough issues so our members can focus on their business. The Montgomery County Chamber of Commerce serves over 700 members of varying sizes in Blacksburg, Christiansburg, Riner, Shawsville, and throughout Montgomery County, Virginia. 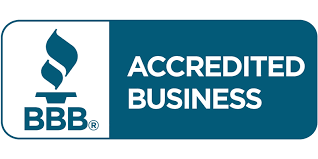 The Better Business Bureau (BBB), is a non-governmental organization designed to enhance marketplace trust. The BBB, established in 1912, is a private nonprofit organization, which has independently incorporated organizations in the U.S. and Canada.